Thanks to everyone who came out yesterday for the Third Sunday Stroll, coordinated by the Pedestrian Committee of the Active Living Board. 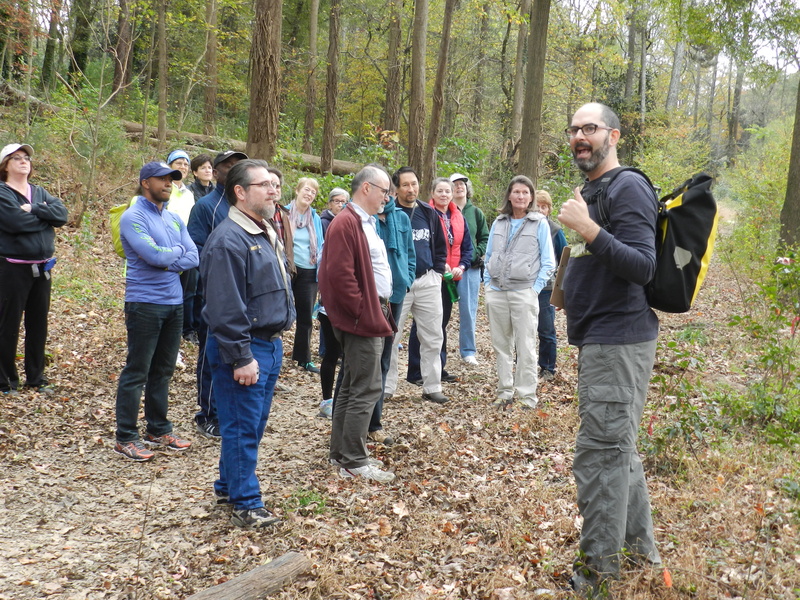 Jonah McDonald, author of Hiking Atlanta’s Hidden Forests, led our hike through the Decatur Cemetery and over 50 people joined in. We learned about Champion trees in the cemetery and lots of other great information about trees and some history of Decatur. Join us every month for the Third Sunday strolls, each featuring a new route and walk leader. Neil Norton promised to lead us one month for a hike to and through Glenn Creek Nature Preserve. For more information on walking in Decatur, visit DecaturGa/walking. For more photos from our walk, visit the Active Living Facebook Page.